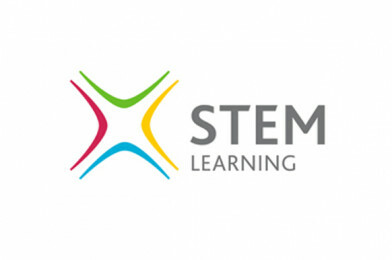 STEM Learning: The STEM Inspiration Awards! This award is aimed at those with a long-standing body of engagement with the STEM Ambassadors programme, recognising achievement over a prolonged period. This award is aimed at those who have joined the programme since June 2017 and have already displayed enthusiasm and commitment as a STEM Ambassador. This award recognises efforts to inform and inspire young people with apprenticeships and technician careers. It is aimed at those working in STEM who have a technical, non-graduate background and have used this to help inspire the next generation of technicians. This is a new award that is designed to reward sustained and long-term engagement through a STEM Club. This award aims to draw together a number of supporters and is designed to reward sustained and long-term engagement through a single project or enrichment programme. It may involve communities, schools, non-school groups, STEM Clubs, STEM Ambassador Hubs, employers, and other institutions and organisations such as learned societies. Applicants can be individuals or organisations involved in the project, but we would recommend you coordinate with partners to ensure a single application is made. This award is for those organisations classified by the UK government as small and medium sized enterprises (less than 250 employees). It aims to reward outstanding commitment to the STEM agenda, and how this is embedded within the culture of the organisation. Outstanding commitment – please detail the commitment of the organisation to the STEM Ambassadors programme. This may include the number of people working as STEM Ambassadors as a proportion of the workforce, the ways the organisation supports its Ambassadors, and evidence of sustained engagement over the long-term (200 words). This award is for those organisations classified by the UK government as large (more than 250 employees). It aims to reward outstanding commitment to the STEM agenda, and how this is embedded within the culture of the organisation. This award recognises anyone employed in a STEM leadership role who has worked to foster an understanding of STEM subjects within their organisation, inspiring and leading others to actively promote STEM education and careers. Nominees in this category need not necessarily be engaged in delivering to young people themselves, they may be in a role in which they enable and encourage others to do so.